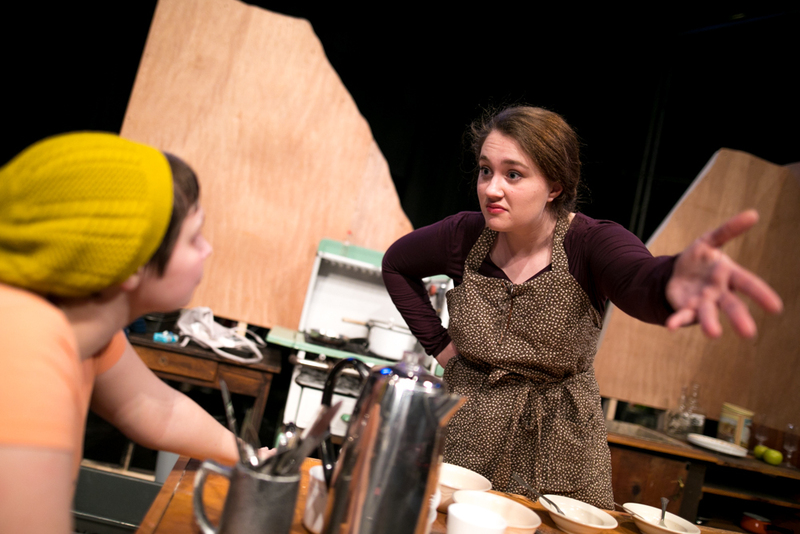 Its wide acclaim – The New York Times called it “soul-satisfying” and “freeing” – isn’t the only reason The Spitfire Grill musical is Eastern Mennonite University’s spring theater production: It also “fits the ethos of EMU,” said music professor James Richardson. The university’s theater department will perform the musical in April under the direction of professor Justin Poole and the music direction of Richardson. Performance dates are April 13-14, and April 19-21 at 7:30 p.m. and April 15 at 3 p.m. Tickets are available from the EMU Box Office. 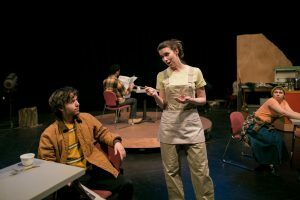 In the play, based on the Lee David Zlotoff film, lyrics and book by Fred Alley, and music and book by James Valq, a parolee named Percy relocates to a small Wisconsin town, where she works at Hannah’s Spitfire Grill. Hannah wants to sell the eatery, but with no buyers in sight, she and others decide to give it away in an essay contest. It’s a story of “redemption, second chances, hope and coming to terms with the reality of a new community,” said Poole – and, Richardson adds, seeking forgiveness not only from others but also from oneself. Cast members range from seniors – Emma Roth and Clara Bush were lead players in EMU’s fall production of Macbeth and, along with Spitfire’s Robert Weaver, acted in The 39 Steps earlier this year – to newer arrivals to EMU theater. Shelby, an “incredibly shy woman in her 30s,” will be played by sophomore Anna Ressler, a psychology major from Apple Creek, Ohio. Lucas Wenger, an undeclared first-year student from Harrisonburg, plays Caleb Thorpe, a man in his early 40s who had been a foreman but is now unemployed. “His old job is now obsolete, and he struggles to let go of the authority he once had and change with the times,” Wenger said. 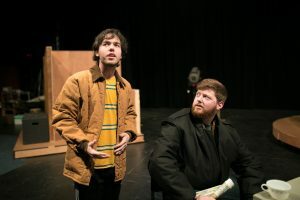 But while he is “stuck in the past” and “could very easily fit into the stereotype of stern, patriarchal husband,” Thorpe is also “multidimensional” and “has moments of caring and trying to fix his mistakes.” Making the subtle moments that reveal Caleb’s humanity “stand out and characterize him just as much as his sternness” is a challenge, Wenger said. Townsperson: Yoel Bobadilla, junior, Lancaster, Pa.
Hannah: Clara Bush, senior, Souderton, Pa.
Percy: Elizabeth Martin, graduate, McGaheysville, Va.
Effy: Emma Roth, senior, Goshen, Ind. Eli/visitor: Robert Weaver, senior, Baltimore, Md. Joe: Sterling Webster, senior (James Madison University), Arlington, Va.
Caleb: Lucas Wenger, freshman, Harrisonburg, Va.
Light board operator: Luis Longo, senior, Bristow, Va. Follow spot operator: Dylan Peachey, junior, Harrisonburg, Va.
Sound board operator: Christopher Runion, freshman, Broadway, Va. Props master: Belen Yoder, senior, Harrisonburg, Va.